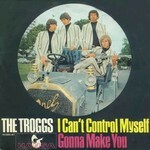 The song The Troggs - I can't control myself is professional recreation. It is not by the original artist. I can't control myself The Troggs Your browser does not support the audio tag. Love Is All Around The Troggs Your browser does not support the audio tag. Wild Thing The Troggs Your browser does not support the audio tag. With A Girl Like You The Troggs Your browser does not support the audio tag.